Our presented range of Sand Stone Water Fountain is broadly employed in the market for their durable nature. Due to their top features, these are enormously demanded in the market. Sizes: Available in sizes starting from 100 mm dia to 1500 mm dia. 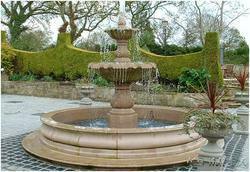 We offer high quality range of Sandstone Fountains. It have intricate handwork and amazing finishing. It can be used as decorative items both for interiors as well as exteriors. It is widely appreciated by our clients which are situated all round the nation. We offer our range at market leading prices. We provide to our customers diverse collections of Rainbow Sandstone Fountain NPS. These products are known for stylish finish and patterns. It is offered in attractive colors such as chocolate, grey and black colors. This product is available in different shapes such as circular, round, square and rectangular. 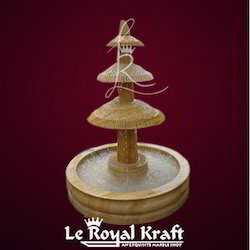 Sandstone Fountain can be kept at private park, school or public garden.